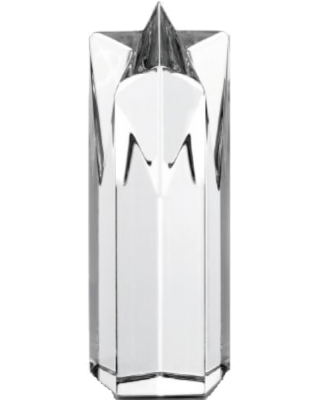 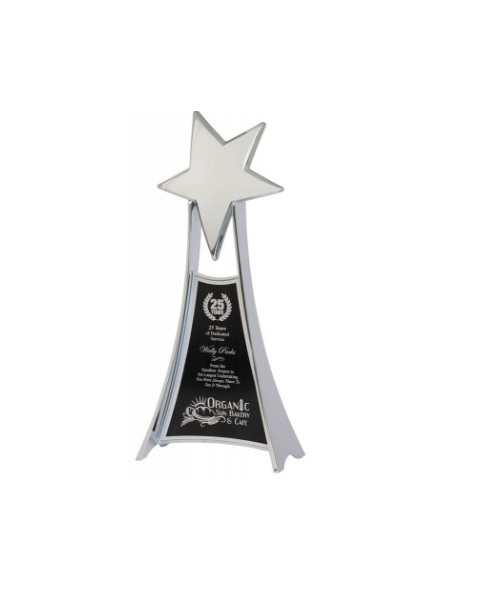 Our Exclusive Star award is styled with a sleek silver or gold finish. 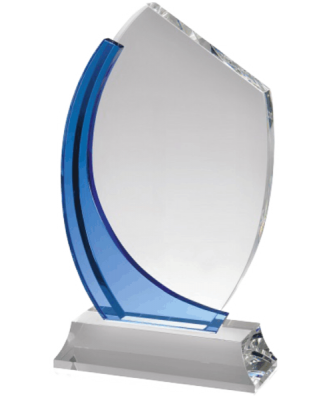 A top of the award is a brushed star (again gold or silver) with added room for a plate to be fixed onto the body of the award. 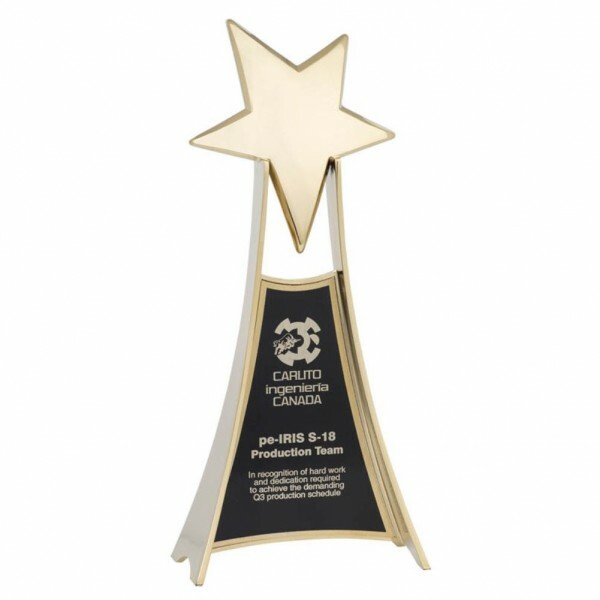 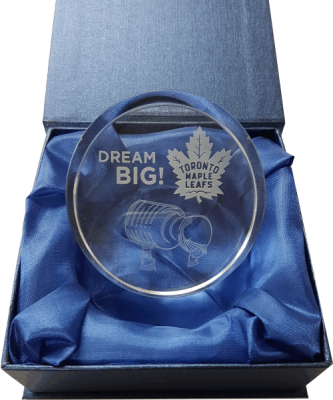 Available in a 10.75″ size and perfect for corporate awards of all various types of recognition.